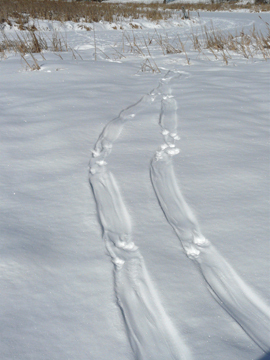 Explore the fields and riparian forest and learn to see and read tracks and other signs of wildlife. What winter birds live here? Pre-registration is requested: info@gbtrails.org or call 413 528 4061 /24-hour advance reservation required for loan of snowshoes.